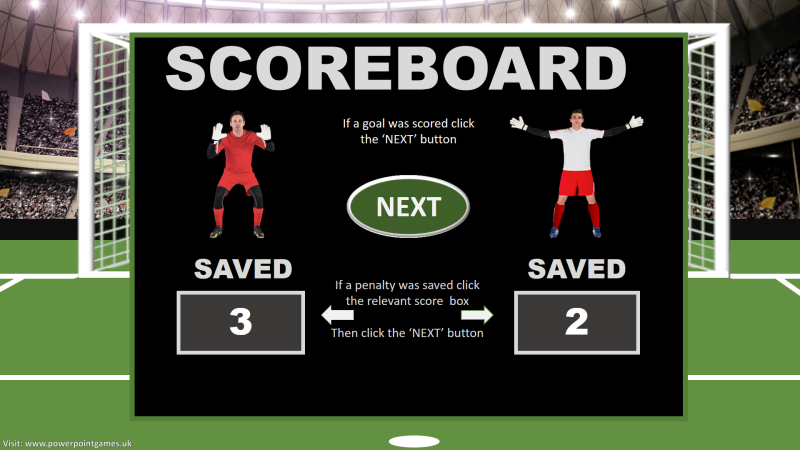 In this game you’re the goal keeper. 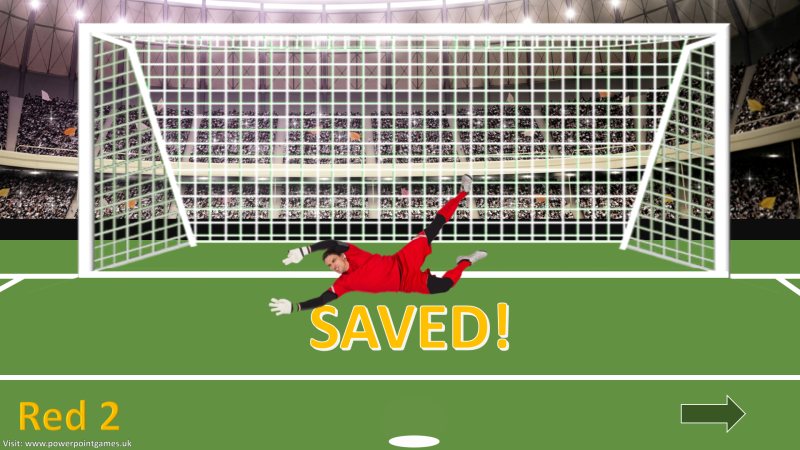 It’s all about how many penalties you can save. 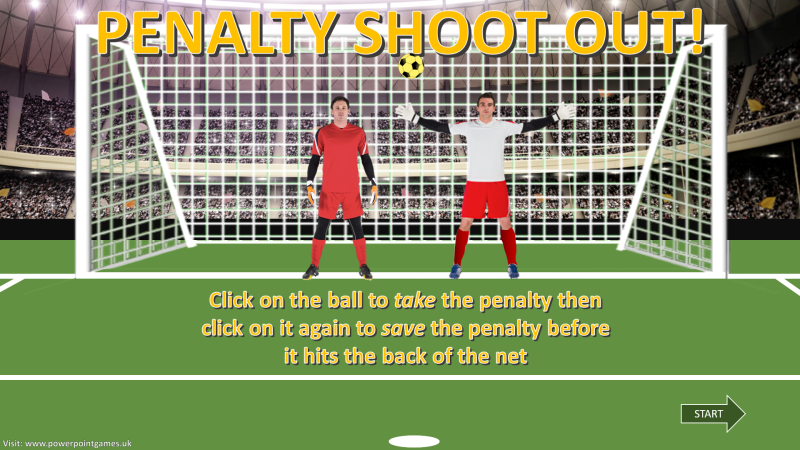 Click on the ball to take the penalty, then click on it again to save it before it hits the back of the net. Listen to crowd go wild for each goal or save. As in all penalty shoot-outs, there are five to take for each team.